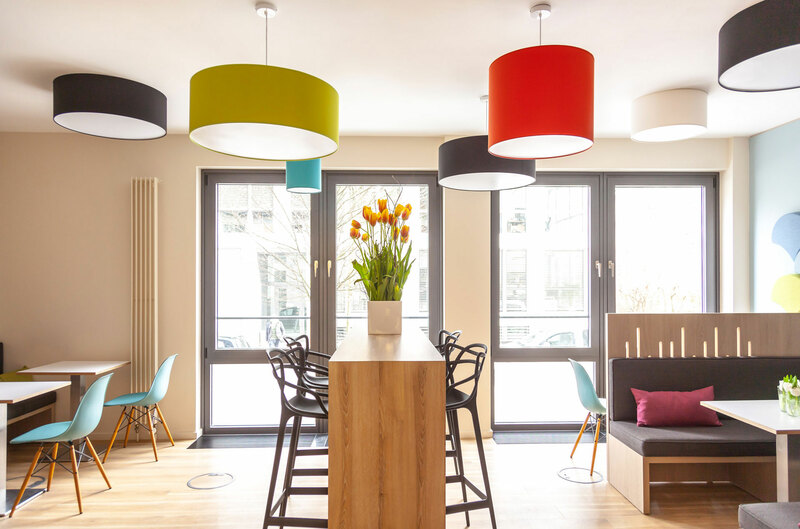 In this large corporate building near Berlin’s famous Potsdamer Platz, the professionals needed a place to take a break, connect with colleagues and have the occasional meeting. The problem? The existing staff lounge was cold, impersonal, not really being used and above all, loud. 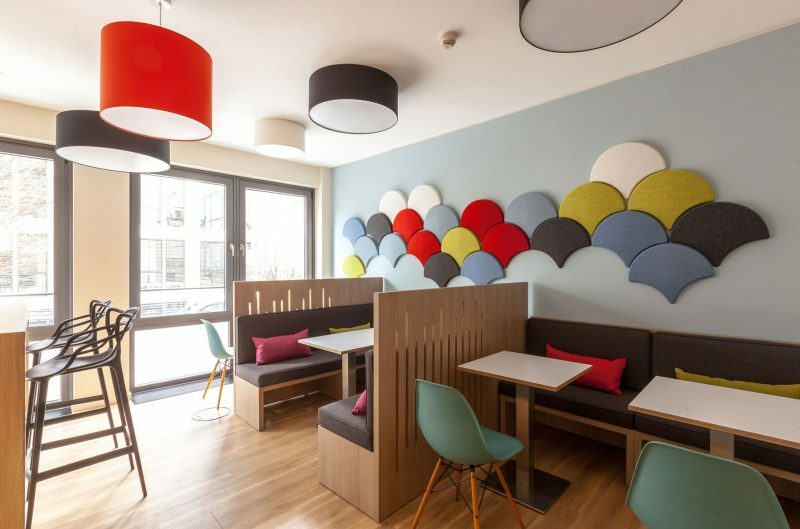 A stylish, colourful and comfortable atmosphere with some visual privacy and improved acoustics was the solution. The layout of the room was changed to create smaller seating areas in which more private conversations and meetings could take place. 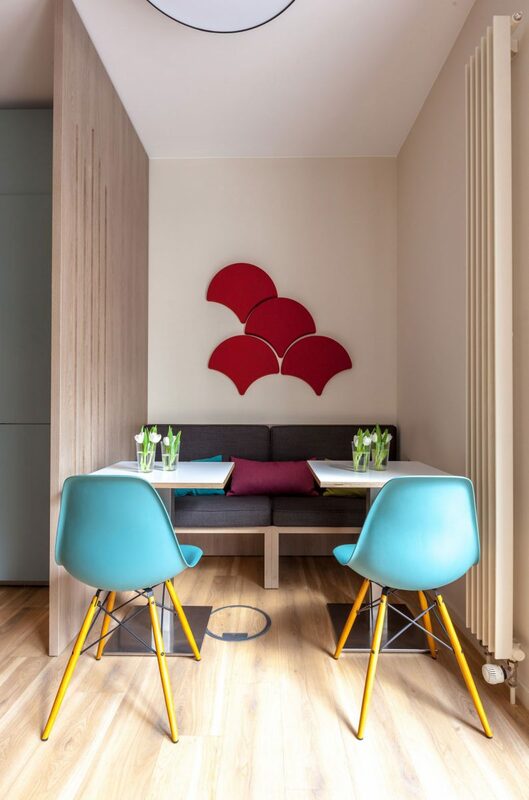 Separated by privacy panels with channels to help absorb sound, the room became more usable, functional and enjoyable. 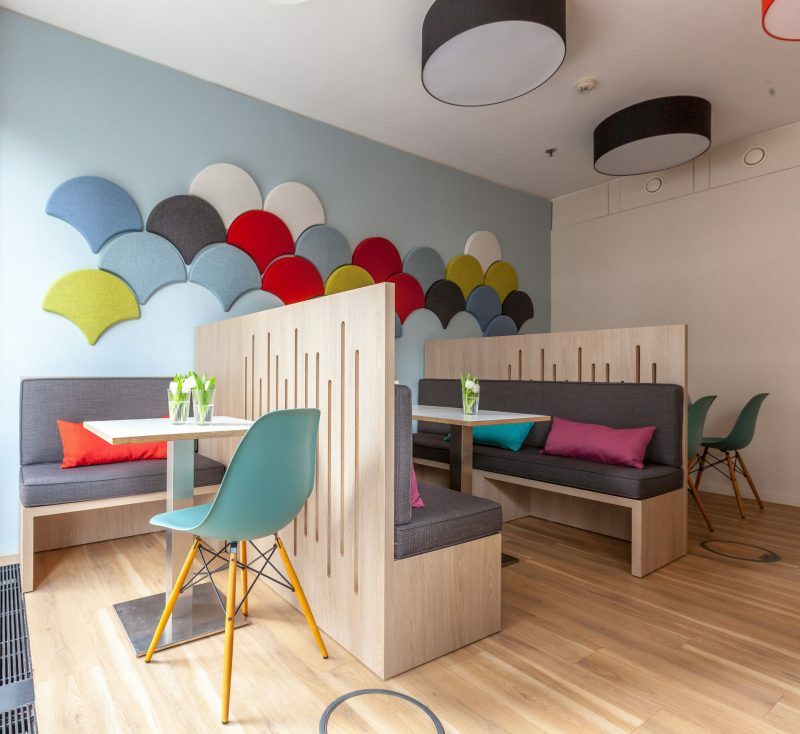 If a room is already noisy, the inclination is to speak louder and louder, until noise levels become unbearable which can have detrimental effects on health and productivity. 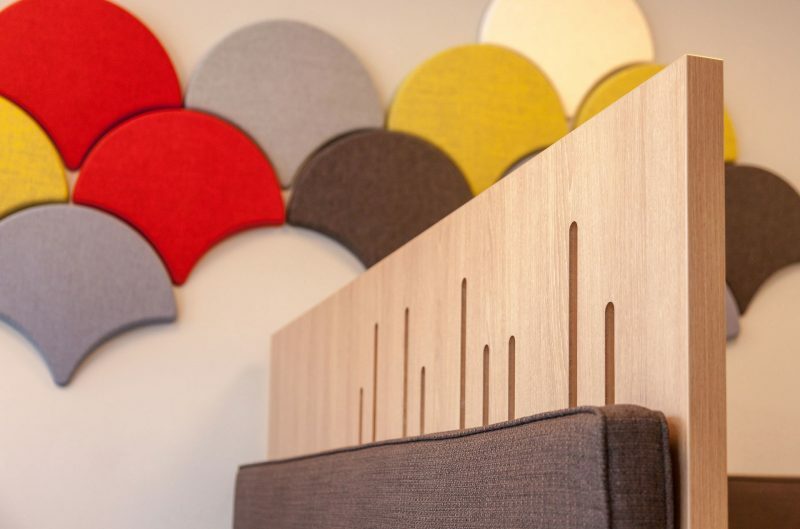 With the addition of the colourful Gingko acoustic wall panels and textiles, the sound quality was greatly improved. 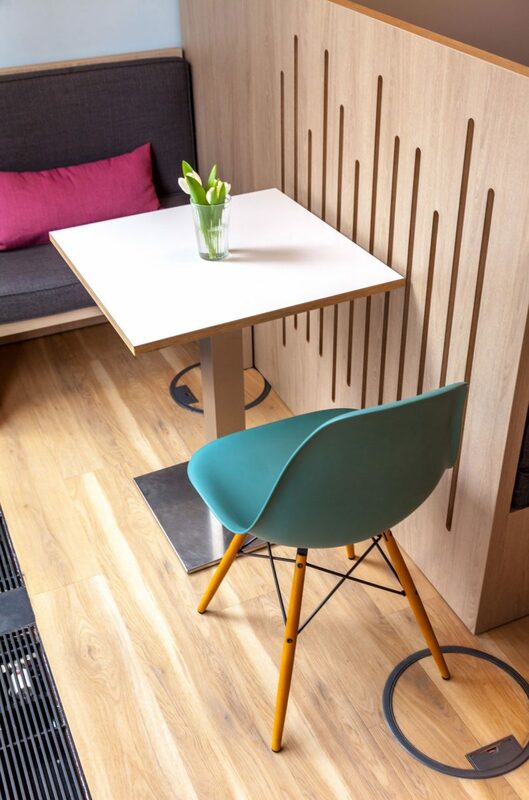 A detail photo of Potsdamer Platz printed onto an acoustic panel in the coffee area further reduces noise and with a nod to the neighborhood. 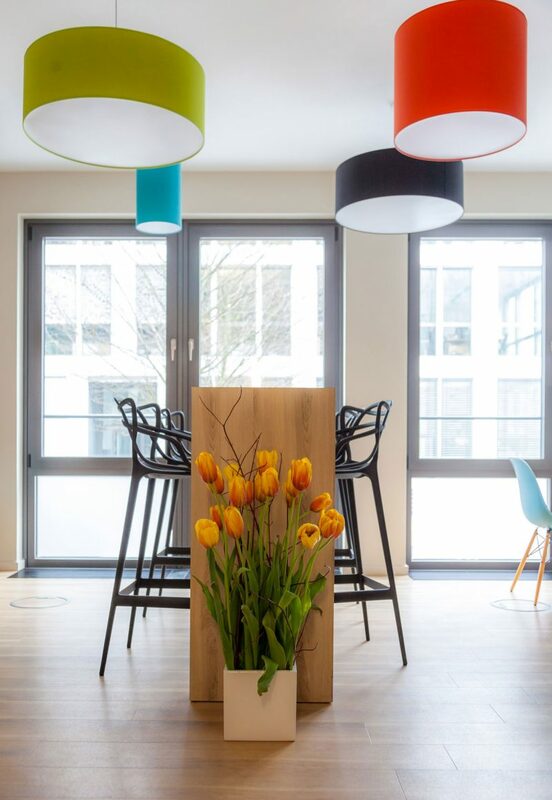 In order to ensure a real change of atmosphere, colour was important for the clients. 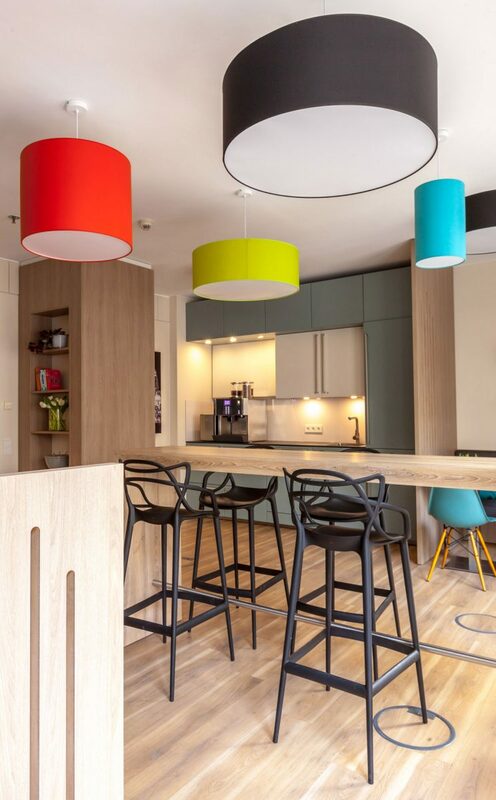 The on trend kitchen in blue – green tones, the pillows and suspended lights in various shades all contribute to create a bright and harmonious atmosphere. 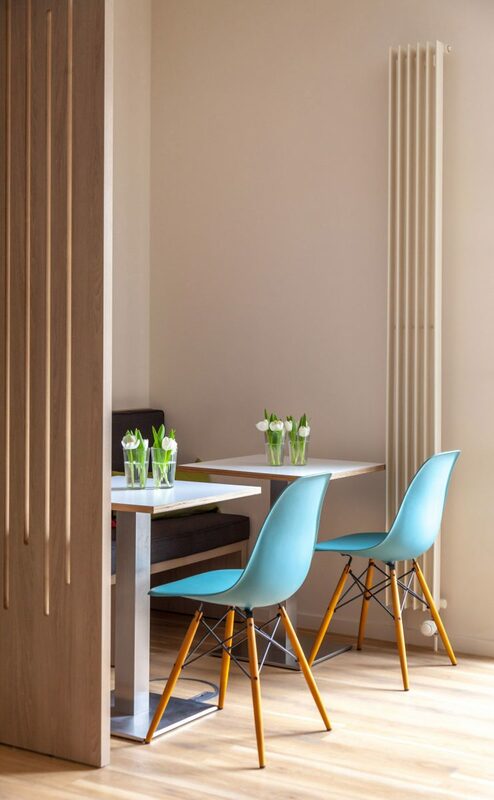 A mix of wood finishes add warmth, and design classics like the Eames DSW moulded plastic chairs in ocean blue and the Kartell Masters bar chairs add form and contrast to the style mix. The result? A place where people can have a conversation. 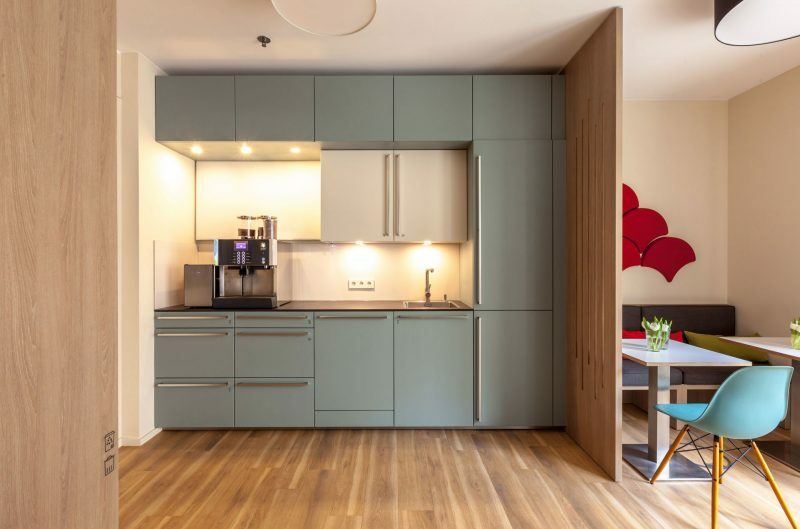 Read more about this project (in German) in the article, Enspannt Einrichten in Key G magazine.